The Old Vicarage is a delightful five bedroom period home which has been sympathetically improved to offer comfortable, modern living accommodation within a commanding period property lying privately in beautiful, well maintained grounds of approximately one and a half acres. 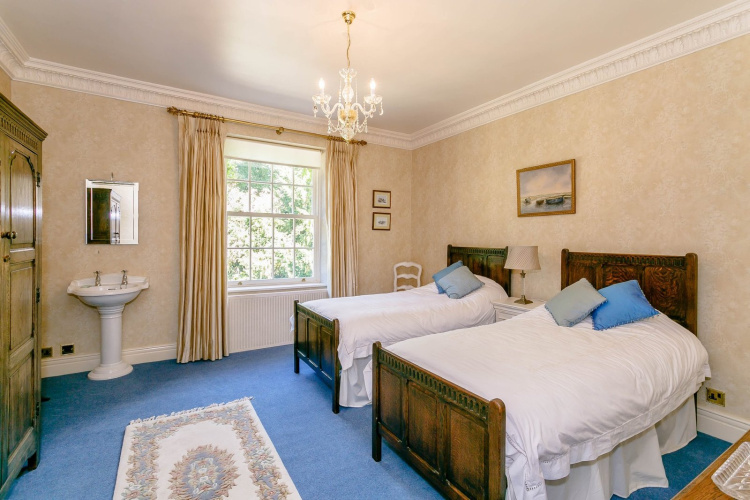 DESCRIPTION The Old Vicarage is a delightful period home which has been sympathetically improved to offer comfortable, modern living accommodation within a commanding period property lying privately in beautiful, well maintained grounds. 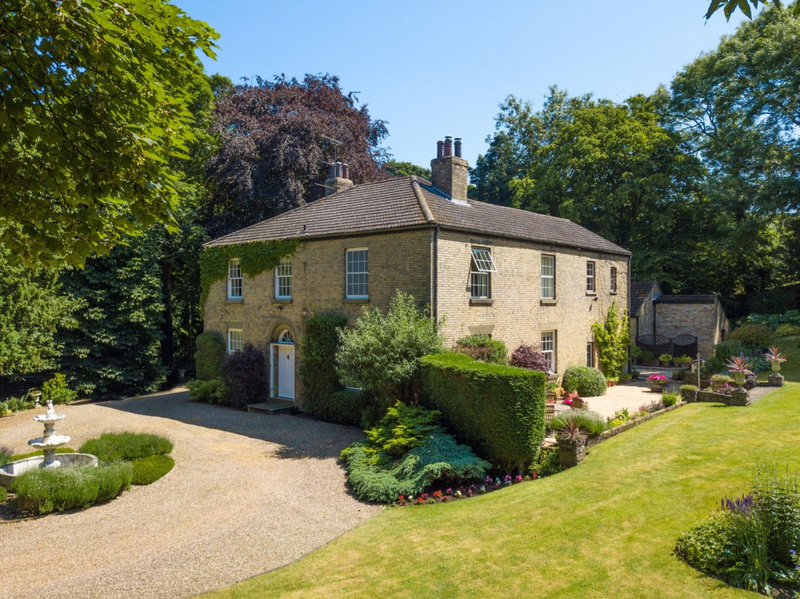 This superbly restored building dates back to 1834 when it was the Vicarage to the Church of St. Marys, which sits close by the property but is now redundant. The current owners purchased the property from the Church in 1983 and in the en-suing 35 years have sensitively modernised it retaining the original character but teaming it with tasteful decoration to provide elegant living accommodation and a family home. 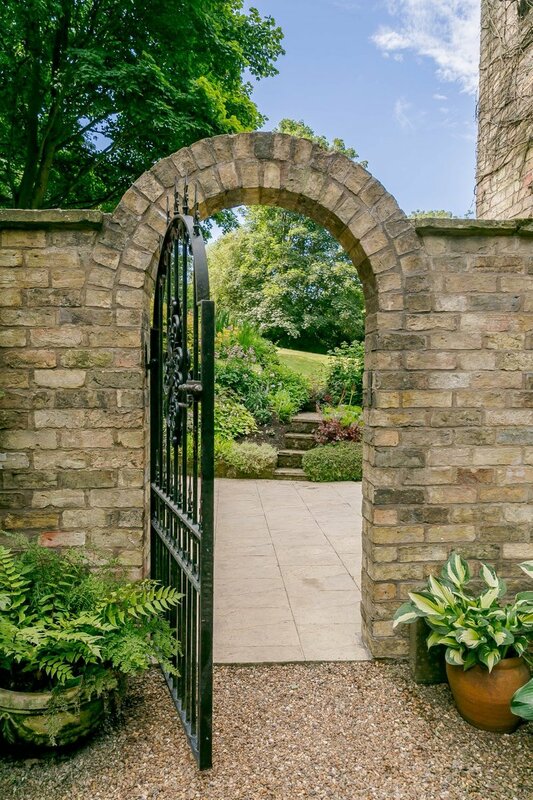 The property is approached through wrought iron gates flanked by brick pillars, past the detached brick garage with double entrance doors and space for several vehicles, down the side of the house and to the impressive circular driveway with feature fountain. 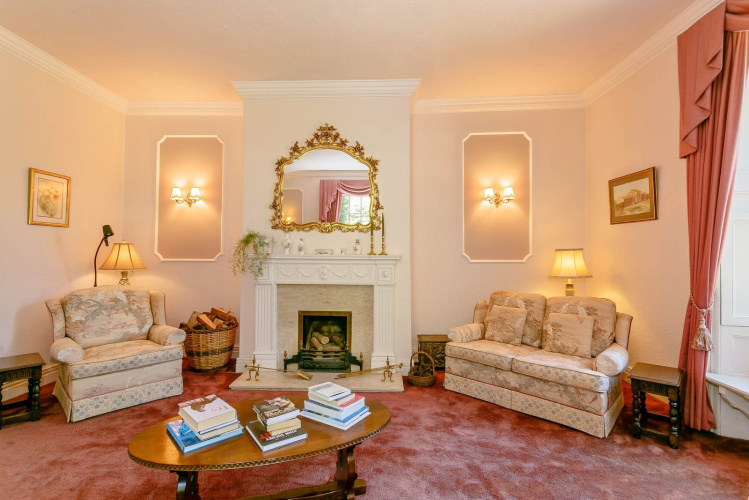 Entrance to the property is through the original entrance door to the imposing spacious hallway with living room and dining room on either side, the living room being dual aspect with open fireplace and of elegant proportions. 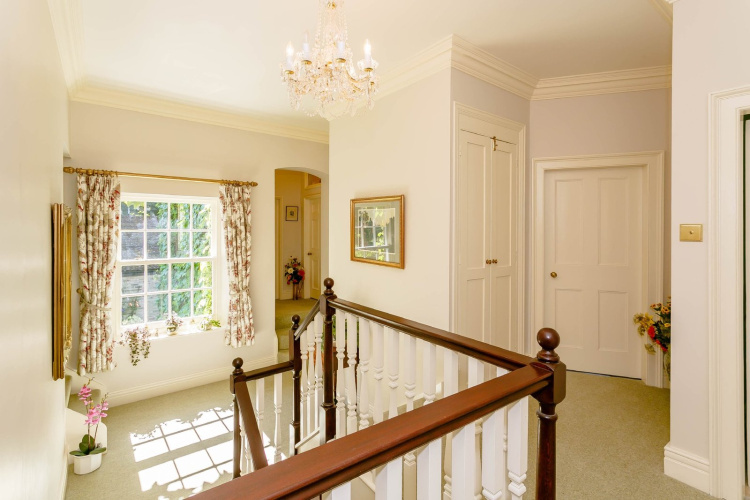 Further along the hallway is a sitting room with open fire which has a cosy relaxed atmosphere, there is a contemporary cloakroom and then on to the beautiful hand painted bespoke kitchen with a range of integral appliances, just off the kitchen is a utility with door to the garden and patio area. Steps lead down to the cellar which is dry and well cared for, ideal for the wine connoisseur! 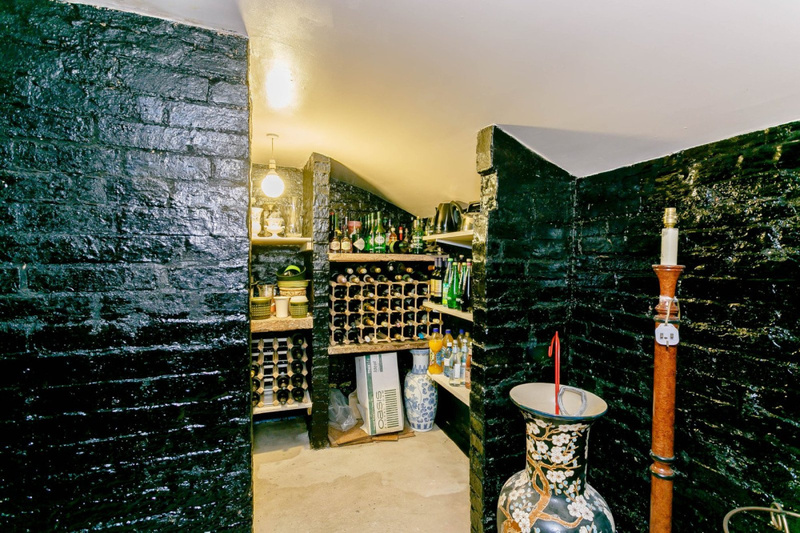 To the rear of the property is a large family room which would be suitable for a number of uses such as a further sitting room, party room or games room. To the first floor are five double bedrooms, one with dressing room and one with en-suite shower room, the stunning family bathroom has a contemporary suite with a beautiful free standing slipper bath and double shower unit. 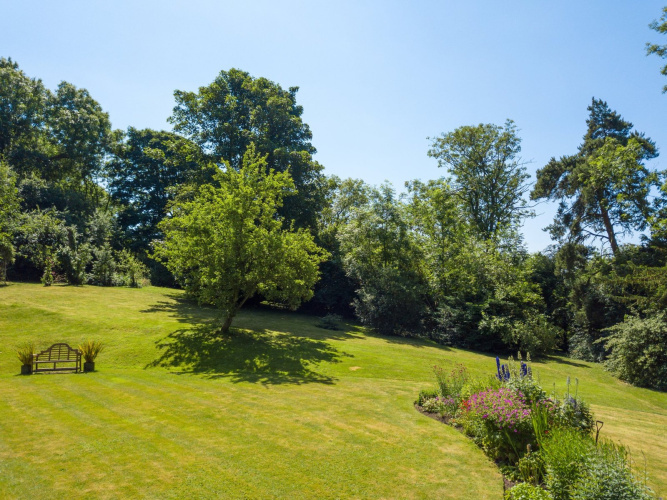 Outside, the one and a half acre gardens lie predominantly to the south being laid mainly to lawn with mature shrub and perennial beds and surrounded by mature trees which afford a high degree of privacy. 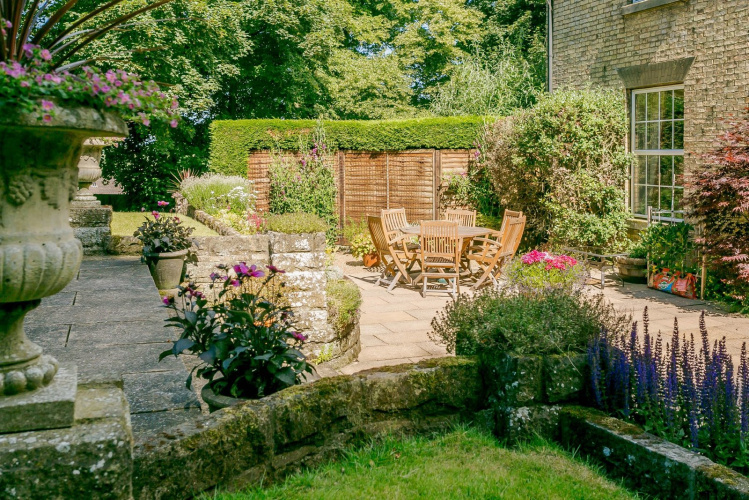 The gardens sweep down to the large sheltered patio area which is ideal for entertaining. 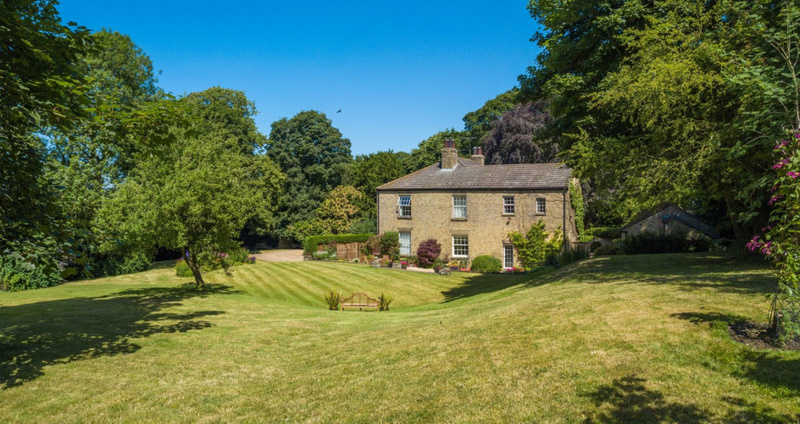 The property is quietly located on eastern outskirts of the delightful village of Barnetby, sitting in an elevated position, overlooking and adjoining the beautiful open countryside lying on the edge of the Lincolnshire Wolds, yet within easy reach of good local facilities. There are many footpaths and bridle ways close by including the Viking Way which runs through the village. 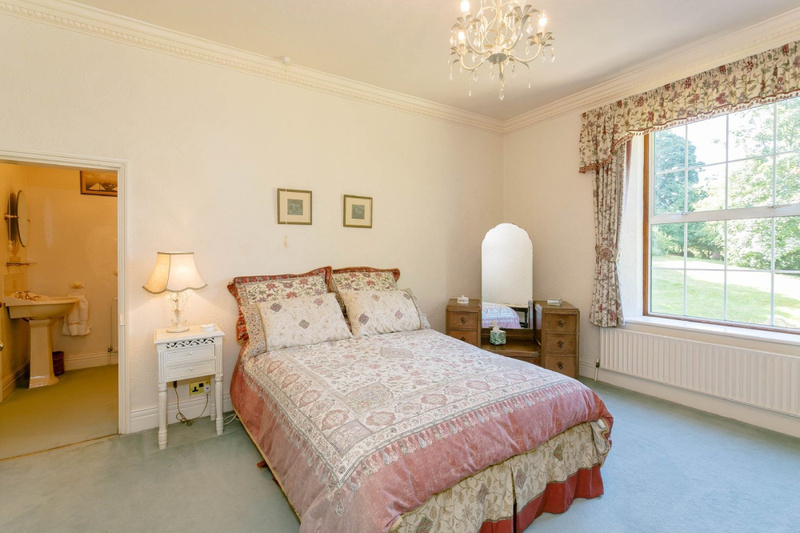 This is a family home but the versatility of the accommodation offered makes it one of the most prestigious houses in the region, suitable for entertaining at the highest level. 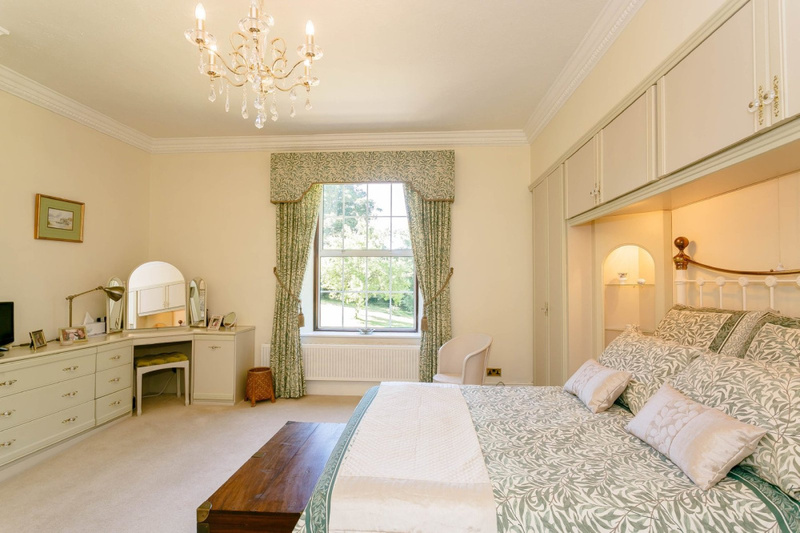 Viewing is strongly recommended to fully appreciate the quality and elegance of accommodation and surroundings. LOCATION Barnetby Le Wold is a thriving rural village lying approximately five miles from the market town of Brigg, it offers public house, two convenience stores - one with post office, doctor's surgery and three establishments offering a variety of take-away foods. There is a well respected primary school with senior schooling at Brigg or Caistor. 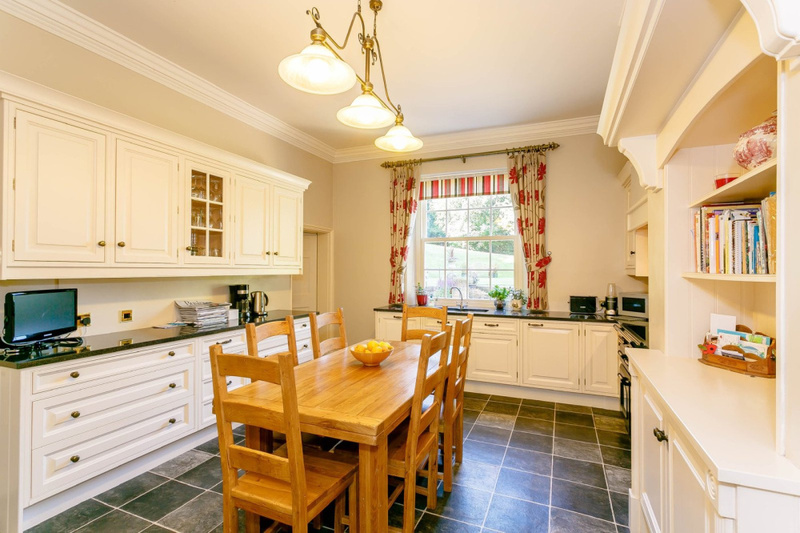 The village has very good transport links having a main line railway station, being close to the M180 motorway intersection at Barnetby Top and lying only four miles away from Humberside Airport. Reception Hall 7' 7" x 22' 11" (2.32 m x 6.99m) Solid wooden entrance door with fanlight above, parquet flooring, ornate plaster coving, staircase to first floor. 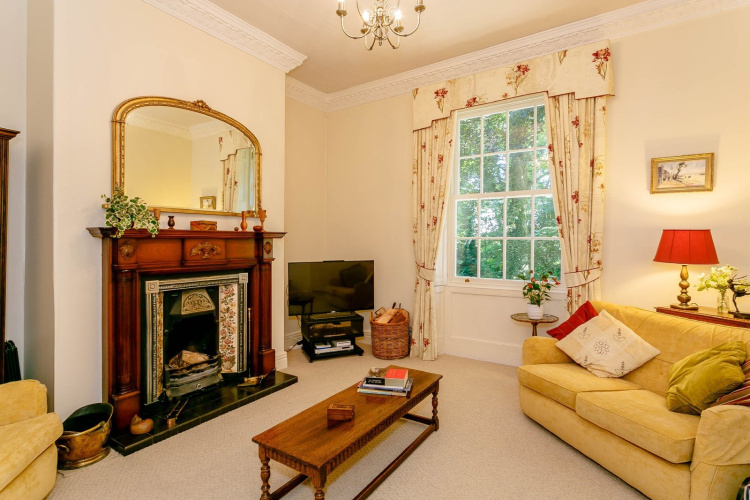 LIVING ROOM 18' 0" x 15' 8" (5.51 m x 4.78m) Windows to the front and side elevations with original window shutters, built-in window seat, two radiators, Adam style fire surround with marble hearth and open fire grate, ornate plaser coving and wall mouldings. 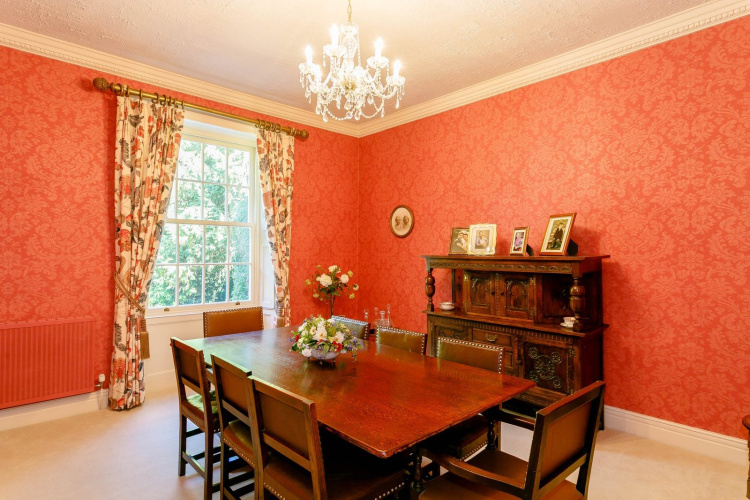 DINING ROOM 15' 8" x 13' 9" (4.78 m x 4.20m) Window to the front elevation with original window shutters, two radiators, ornate plaster coving and ceiling rose. 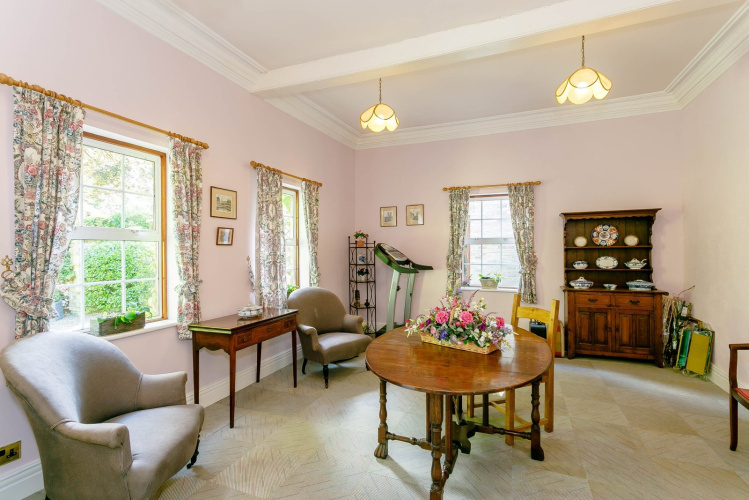 SITTING ROOM 13' 9" x 13' 8" (4.20 m x 4.17m) Window to the side elevation with original window shutters, radiator, Mahogany fire surround with cast insert, tiled hearth and open fire, ornate plaster coving. KITCHEN 18' 0" x 13' 10" (5.51m x 4.23m) Window to the side elevation, range of bespoke, hand painted cupboard and drawer units incorporating 'Rangemaster' range cooker with double electric oven and ceramic hob, extractor fan, larder cupboards, double sink unit, granite work surface, feature fire surround with built-in cupboards housing oil central heating boiler, built in dishwasher & fridge, radiator, ornate plaster coving. UTILITY ROOM 12' 4" x 5' 8" (3.78m x 1.74m) Rear entrance door, range of base and wall cupboards, one and a half bowl draining sink unit, plumbing for washing machine, wall mounted heater. 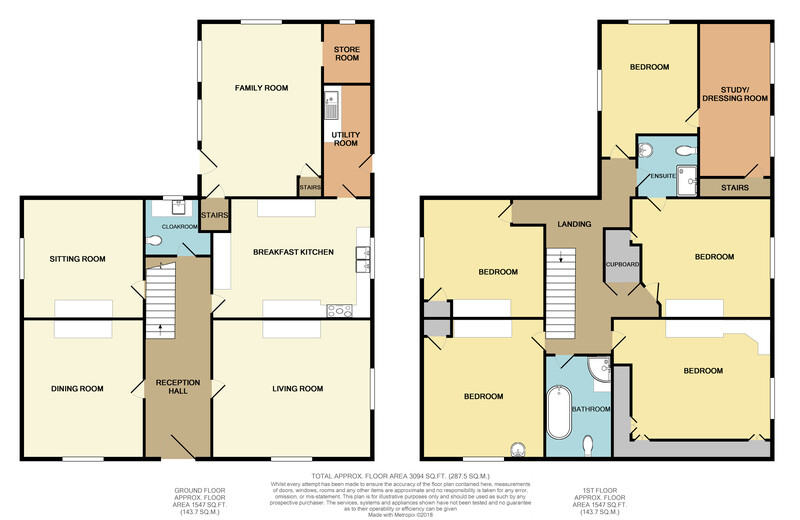 FAMILY ROOM 19' 9" x 13' 10" (6.03 m x 4.22m) Wooden side entrance door, three windows, access to secondary staircase, cellar and freezer room/ pantry with window. LANDING Window to the rear elevation on half landing, walk-in airing cupboard housing a hot water cylinder, ornate plaster coving. BEDROOM TWO 15' 11" x 13' 8" (4.86 m x 4.19m) Window to the side elevation, radiator, coving. En-Suite Shower Room This can also be accessed from the landing. 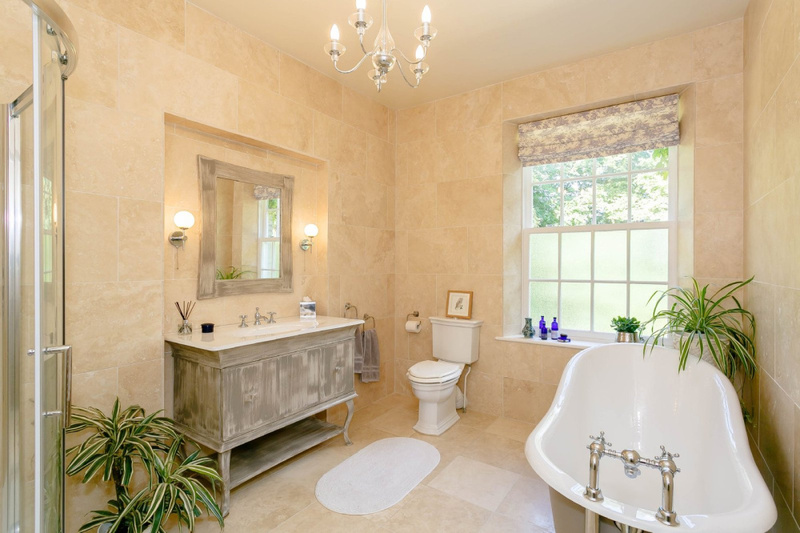 Corner shower enclosure with thermostatically controlled shower, w.c., wash hand basin, radiator, extractor fan. BEDROOM THREE 15' 8" x 13' 9" (4.78m x 4.20m) Window to the front elevation, radiator, built in cupboard, wash hand basin, coving. BEDROOM FOUR 13' 9" x 13' 8" (4.20 m x 4.17m) Window to the side elevation, radiator, built in cupboard, coving. BEDROOM FIVE 15' 3" x 11' 1" (4.67 m x 3.40m) Windows to the side and rear elevations, radiator, coving. Dressing Room/Study 16' 11" x 8' 5" (5.16 m x 2.59m) Two windows to the rear elevation, radiator, secondary staircase to ground floor, loft access. BATHROOM 11' 8" x 7' 7" (03.56 m x 2.32m) Window to the front elevation, free standing slipper bath, w.c., double walk in shower enclosure with multi head thermostatically controlled shower, vanity wash hand basin with cupboard beneath, chrome heated towel rail, fully tiled walls and floor, underfloor heating. 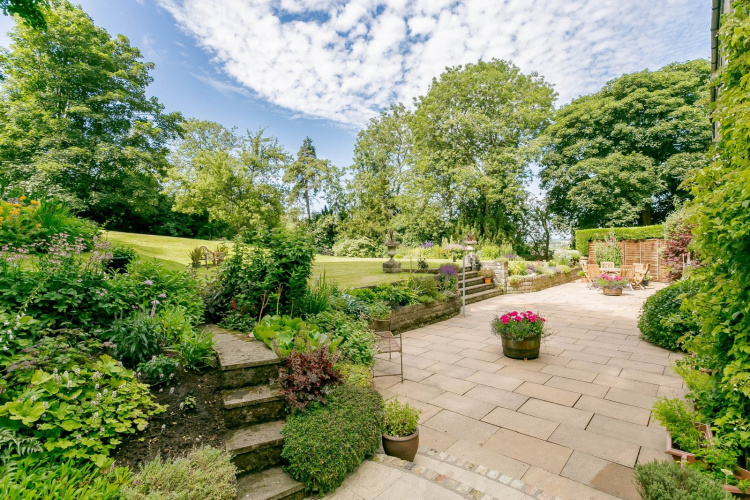 OUTSIDE The property is approached through electronically operated wrought iron gates over a sweeping gravel driveway leading to the front of the property with circular driveway with water feature. 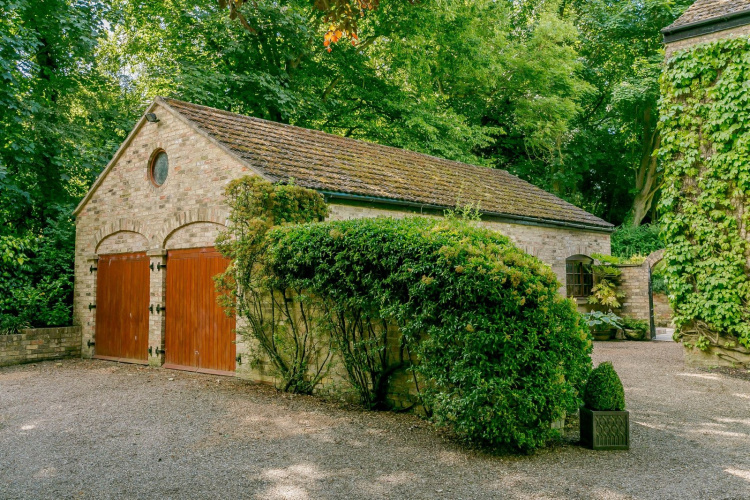 Located to the eastern side of the property is a brick built garage with workshop and space for several vehicles. Attached to the rear of the garage is a garden/general store, all having power and lighting. The Old Vicarage sits in approximately one and a half acres of beautifully maintained and landscaped gardens and offers a good degree of privacy having mature trees and hedging to the boundary. 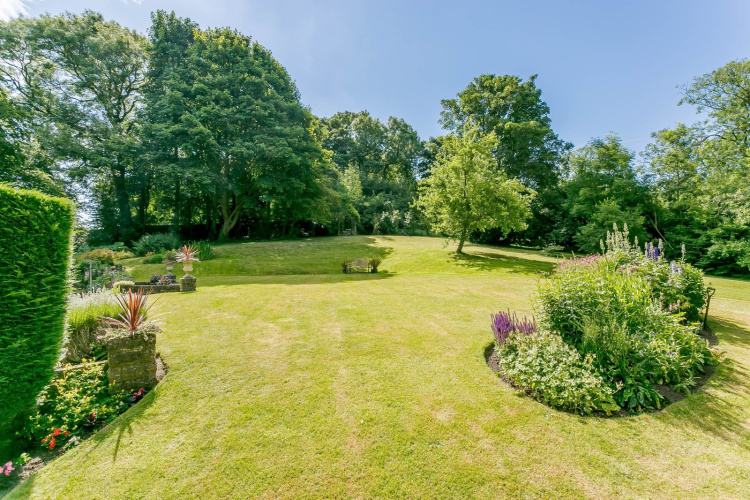 A flagstone patio is located to the rear of the property overlooking the lawned garden and provides an ideal area to sit and relax to take in the tranquil setting of The Old Vicarage. Steps lead to a terraced lawn and raised flower beds to either side. Ornamental flower beds have been strategically placed to draw your eye into the garden and beyond. GENERAL REMARKS and STIPULATIONS Tenure and Possession: The Property is freehold and vacant possession will be given upon completion. Council Tax: We are advised by North Lincolnshire District Council that this property is in Band F.
Hours of Business: Monday to Friday 9am - 5.30pm, Saturday 9am - 12.30pm. Viewing: Please contact the Brigg office on 01652 654833. 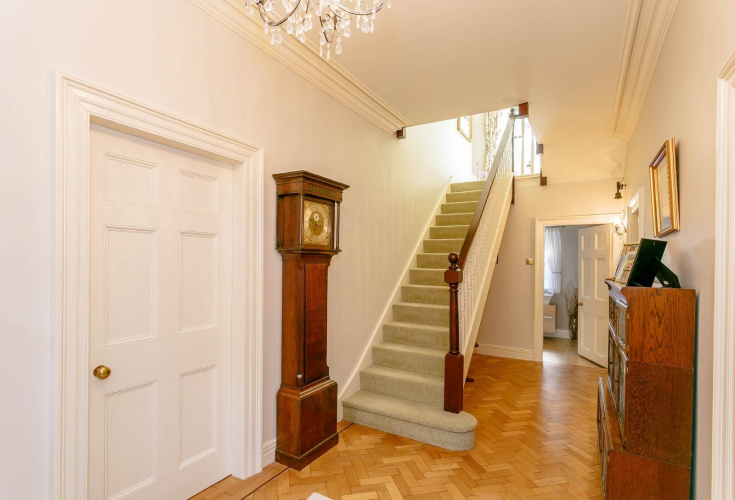 Free Valuation: We would be happy to provide you with a free market appraisal of your own property should you wish to sell. Further information can be obtained from Brown & Co, Brigg - 01652 654833.